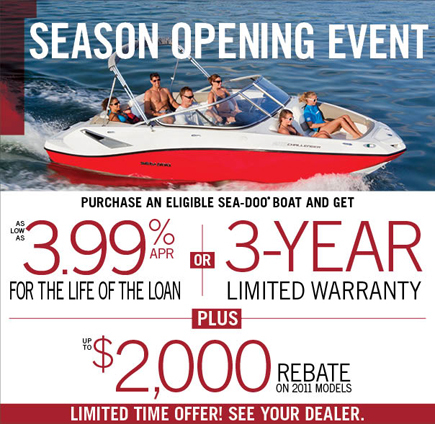 Are you looking to upgrade to a new Sea-Doo boat or PWC? Ready to experience iControl, the new generation of marine technology? BRP is supporting most of the major boat shows through out North America through our platinum dealer network with new, 2012 model Sea-Doo boats and watercraft. Visit on of the many shows to learn all about the industry’s only on-water braking system, the Sea-Doo intelligent Brake and Reverse (iBR)? How about learning all about the safety features and performance benefits associated with the Sea-Doo Direct Drive Jet Propulsion systems? Boat Shows offer boat owners, fans and prospective boat and watercraft owners, the opportunity to compare and contrast the new 2012 Sea-Doo product features with hundreds of manufacturers. Sea-Doo watercraft and boats ultimately provide fun on the water and we strive to provide drivers and riders more comfort and control in every boat and PWC we sell through trend leading design and useful and functional innovation. At the Boat Shows BRP showcases new 2012 designs and technology that specifically focuses on safety, comfort, ergonomics, game-changing advancements in technology but most of all FUN! 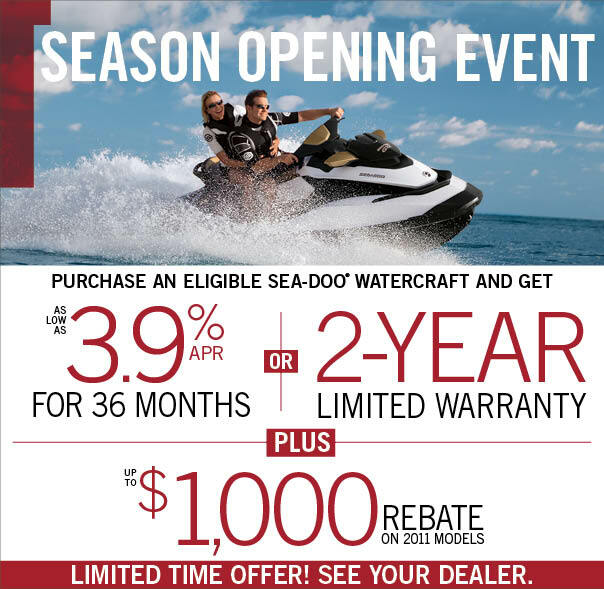 During Boat Show Season, BRP offers exceptional value on the new 2012 Sea-Doo lineup and provides attendees with special “show only” incentives including special financing, extended warranty offers and rebates. Come on out to a Boat Show near you! Make sure and stop by and see us!